Sports debate shows on ESPN, Fox and other networks have become television staples. Contestable topics for discussion always surface. Some issues have stronger legs than others. From game results to front-office decisions, there is a plethora of analysis to dissect. Let’s look at five prominent debate show; the similarities and differences. ESPN’s Pardon the Interruption is one of the longest running sports shows on television. The thirty-minute program has been running since 2001. Many will agree that Tony Kornheiser and Michael Wilbon are entertaining and informative. They’re seasoned, each with forty years of experience. Both started in print and then delved into television. I not only enjoy the chemistry between Kornheiser and Wilbon, I also find the format compelling. I like the fact that it’s just the two of them. There’s no moderator necessary. Because of the time limitations they’re given for each topic and segment, viewers can appreciate the wealth of their knowledge and their ability to manage the prescribed clock. They know the number of topics on the agenda and the time allotted to get each subject covered. Both personalities instinctively make their points succinctly and will moderately stretch a subject or cut it short when merited. More often than not, they’ll go a few seconds over their fixed time. Pardon the Interruption is also filled with humorous moments and running gags like “Playoffs? Playoffs?” Of course, Wilbon will never let viewers forget his love for Chicago sports teams. The Kornheiser/Wilbon pair are excellent but it still feels like something is missing. It could be youth. Yes, other shows might appeal to younger demographics, I like the fact that PTI remains true to itself and its cast. ESPN’s First Take was first aired in 2007 and has become one of the most known sports debate shows. The program features host/ moderator Moly Qerim with analysts Stephen A. Smith and Max Kellerman. Qerim, married to Jalen Rose, introduces the topics and then lets the men hammer at it before she shepherds them along to the next subject. Smith and Kellerman are two animated and passionate individuals, a characteristic that surfaces when the two men get into real debatable topics. Smith has nearly 25 years of experience in sports journalism. Like Kornheiser and Wilbon, Stephen A. started out in print too. He also did radio before joining First Take in 2012. Kellerman has almost twenty years of experience and started out with his own public-access television program. Max brings lots of experience covering boxing, doing color commentary and hosting studio programming. First Take also engages many guests and analysts who stop by the show to share their insights and opinions. Smith’s facial expressions and short rants have also become popular on social media. For me, Smith and Kellerman are sometimes a bit too loud and animated. It can be a bit much, especially for a two-hour show. ESPN’s Around the Horn is another attention-grabbing show. It first started in 2002 and has been on daily since. In fact, Kellerman was its first host before Tony Reali took over in 2004. However, unlike most, Around the Horn features a roundtable discussion with four panelists. The cast features lots of interchangeable talent. Some of the usual panelists include: J.A. Adande, Kevin Blackistone, Frank Isola, Israel Gutierrez, Sarah Spain and Woody Paige. Around the Horn is structure around a scores by argument system by which panelists are graded; earning and losing points based on the qualities of their takes. Reali is adept at corralling and maintaining order during the program, altering scores and even muting panelist when he chooses to do so. The panelists are also fair. For the most part, they let each other talk. There are rarely interruptions. Around the Horn’s individuality, its roundtable format and colorful lineup of panelists are enjoyable. While the format is terrific, I feel like the show might occasionally fall a bit short. Extended time for Around the Horn might do it more justice. Skip and Shannon: Undisputed on Fox Sports 1 is one of the most popular sports debate shows out there. The program is hosted by Jenny Taft, and stars Skip Bayless and Shannon Sharpe. Undisputed made its debut in September, 2016. 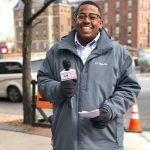 Bayless is another who launched into broadcast after years on the print side, getting into radio and then television. In fact, Bayless was a longtime analyst for ESPN’s First Take, alongside Stephen A. Smith. Sharpe is the former tight end who spent thirteen years in the NFL. He got into broadcasting and analysis the year after his football career was over. 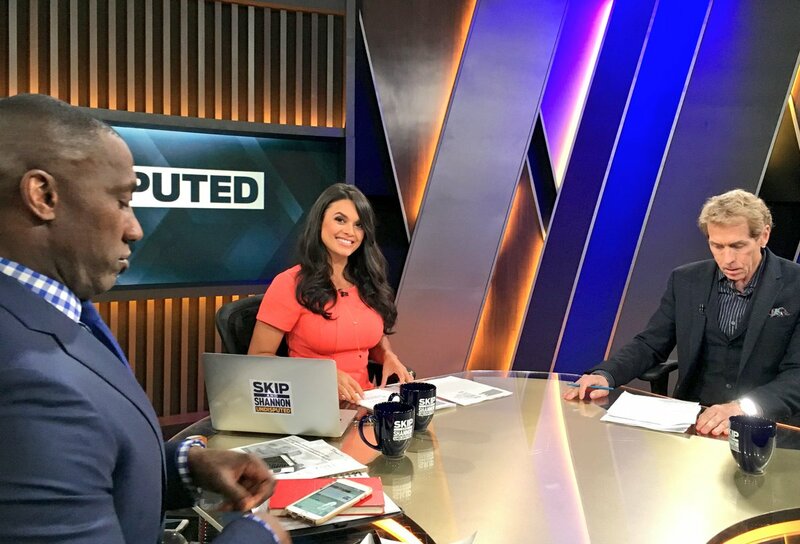 Undisputed carries the same format as First Take, with a host/moderator and two analysts. Bayless and Sharpe have good chemistry, albeit they’re two opposites. My take watching their show is the great respect they have for one other. Sharpe respects Bayless because of his experience covering sports in different capacities for many years. Bayless respects Sharpe because he opines from an athlete’s perspective as one of the best tight ends in NFL history. Undisputed also has occasional funny and social media moments, including Sharpe’s love for LeBron James versus Bayless’s love for Michael Jordan. Guests including musical artists, former athletes and other analysts often join the show to cover varying topics. Oftentimes they do go off topic and that can take away from their show. But you can’t deny this tandem is onto something. Fox Sports 1’s other premiere debate show, Speak for Yourself is on FS1 and has been around for about three years. The program is hosted by Jason Whitlock and Marcellus Wiley. Colin Cowherd was originally alongside Whitlock but Wiley replaced him in September, 2018. Whitlock is a sports journalist who has over 25 years of experience, starting out writing for papers in the Midwest. He got into broadcasting back in 2013. Wiley is a former NFL ten year vet as a defensive lineman who got into broadcasting back in 2010. The two are a newer cast and have different backgrounds. It makes for an interesting combo. But sometimes the show can be too comfortable and not sufficiently stimulating. Whitlock’s been in the industry for many years, and Wiley gives a lot of good insight as a former athlete. Speak for Yourself is just okay in my opinion, but I’d like to see where it’s headed in the future. One of the questions asked a lot about sports debate shows is, “Do we need so many of them?” I dare to say yes. Although the shows have similarities and cover many of the same topics, the analysts and panelists all generally have different slants, many of which are provocative. The wide selection affords viewers options which is never a bad thing.